An Indicator Light for flush mounting on a panel. Can be used to indicate that status of a circuit. Or get creative with 100's of these. 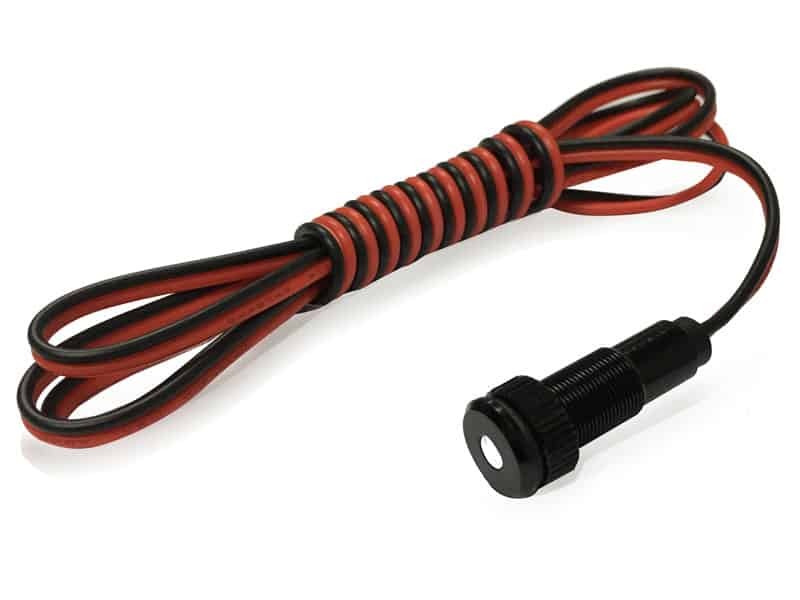 We've already attached about 3 feet of red and black wire, so just hook up to any 12-volt power source, and you're ready to go. Is it bright? No - its not meant to be bright. 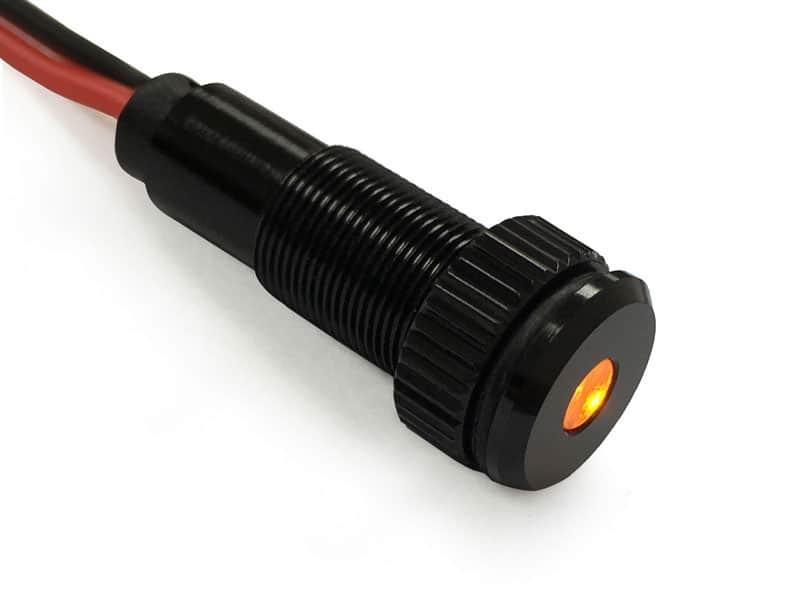 Its just a tad bit brighter than the indicator lights on our popular Round Rocker Switches. Need a drill bit? We sell metric 8 mm drill bits. Because of customer feedback (thank you! 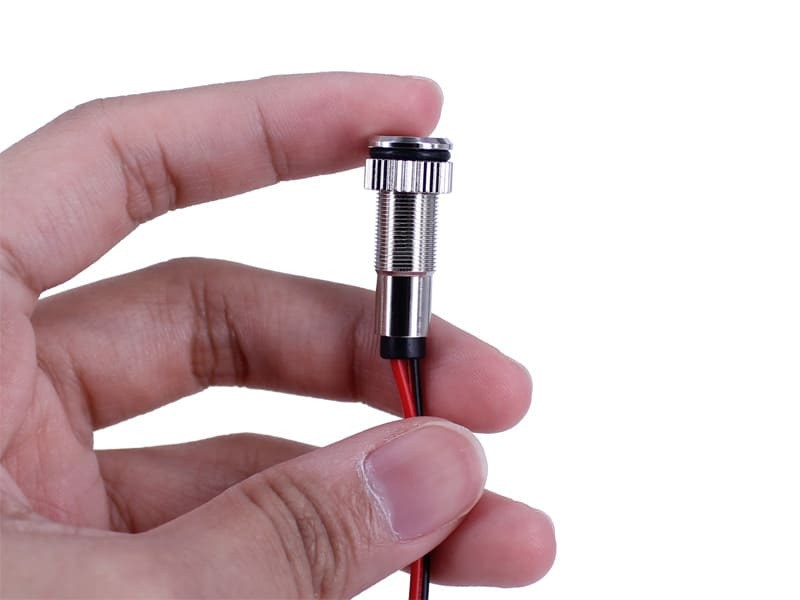 ), we've decided to use a larger ohm internal resistor to make the LED indicators less bright. Before, many customers complained the LEDs were too bright for their intended purpose as a simple indicator. We feel this change will suit 95%+ of customers, as the brightness is now "reasonable". If for some reason you really want it as bright-as-blindingly-possible, we can still do it, but would like you to order at least 50 pieces. 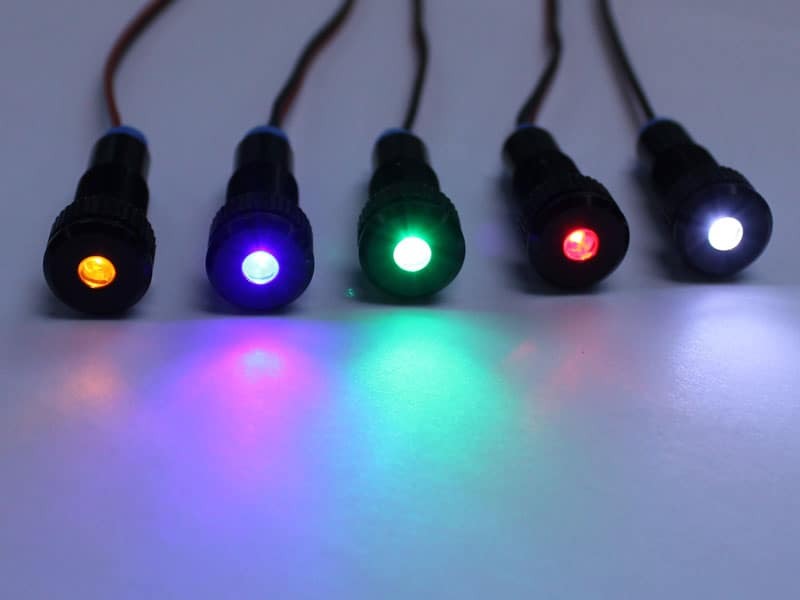 This change is effective with any LED Indicator Lights we produce from May 1st 2015. We might still have older inventory of certain colors that won't get replaced until the original stock sells out. 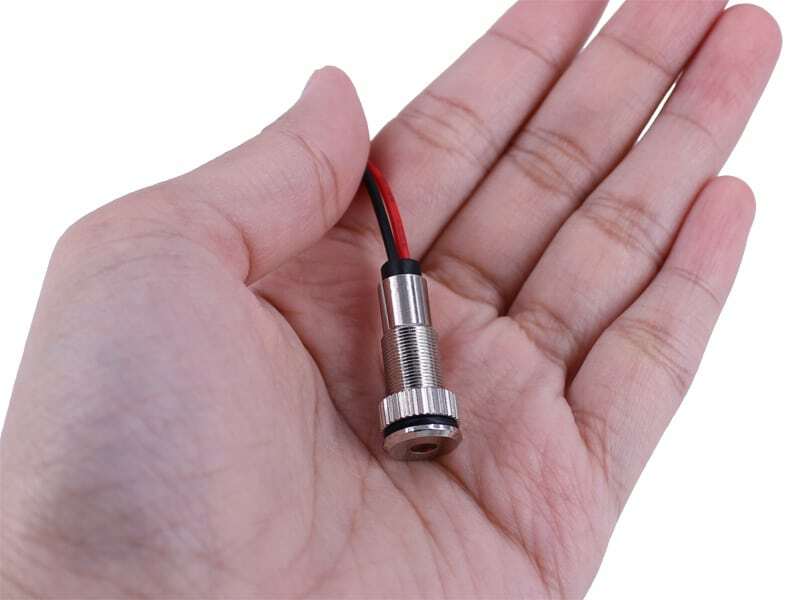 The internal resistor used with the brighter version is 1206 SMD Size / 560 Ohm / Code 561. 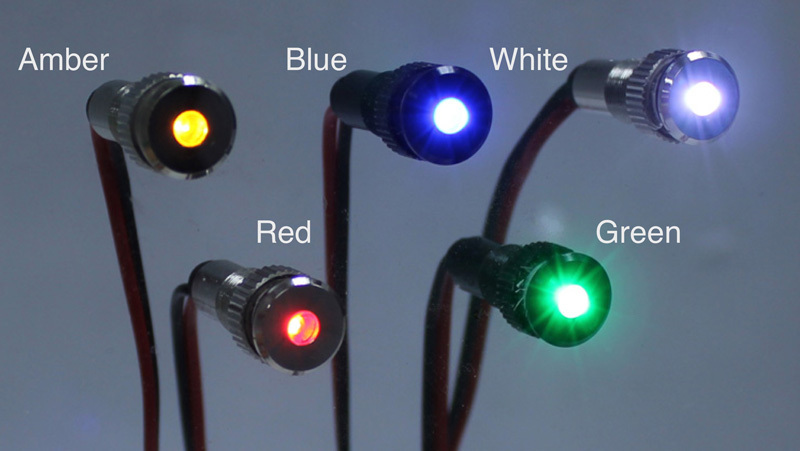 And the dimmed version uses 1.5k Ohm for Red & Amber, and 22k Ohm for other colors. This is of course 100% optional... 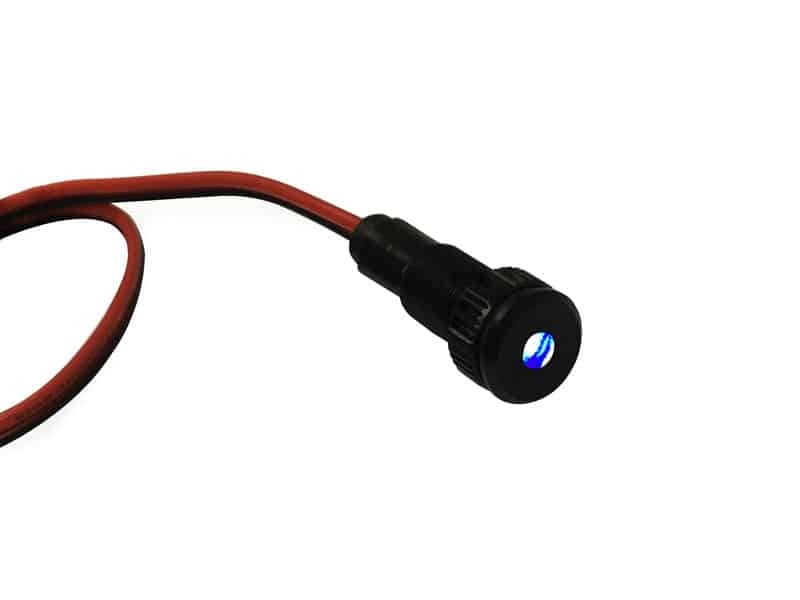 If you're happy with the brightness, you don't need to use any external resistor. 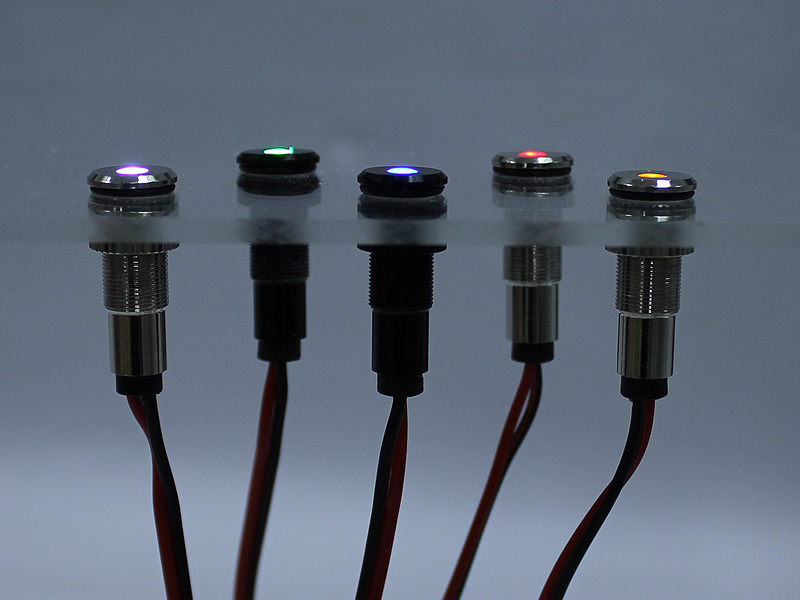 You can experiment with a number of different resistors until you find a suitable brightness. To start, we'd recommend ordering about 5 of the 1/2 Watt, 560 Ohm resistors. You can then try wiring anywhere from 1 to 5 (or even more if you want) in series. 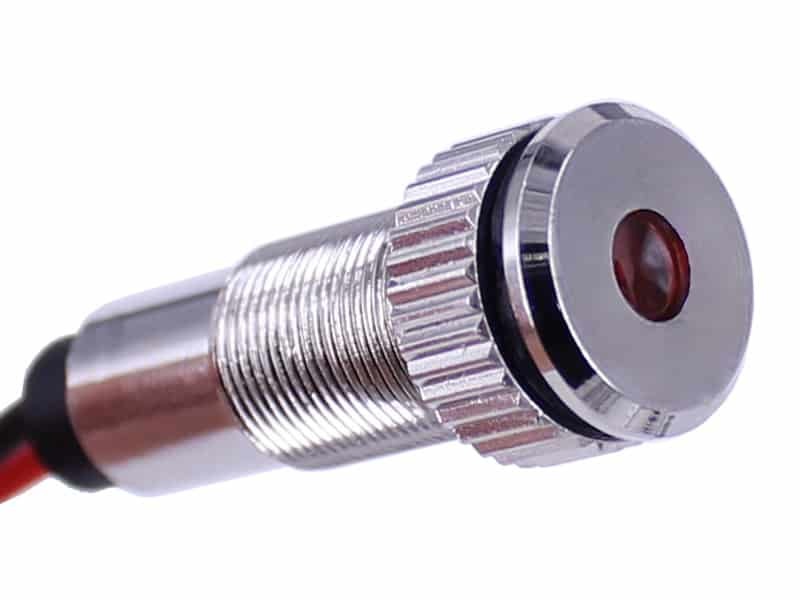 The purpose of an indicator light is to pretty much let you know that something has been turned on or activated. 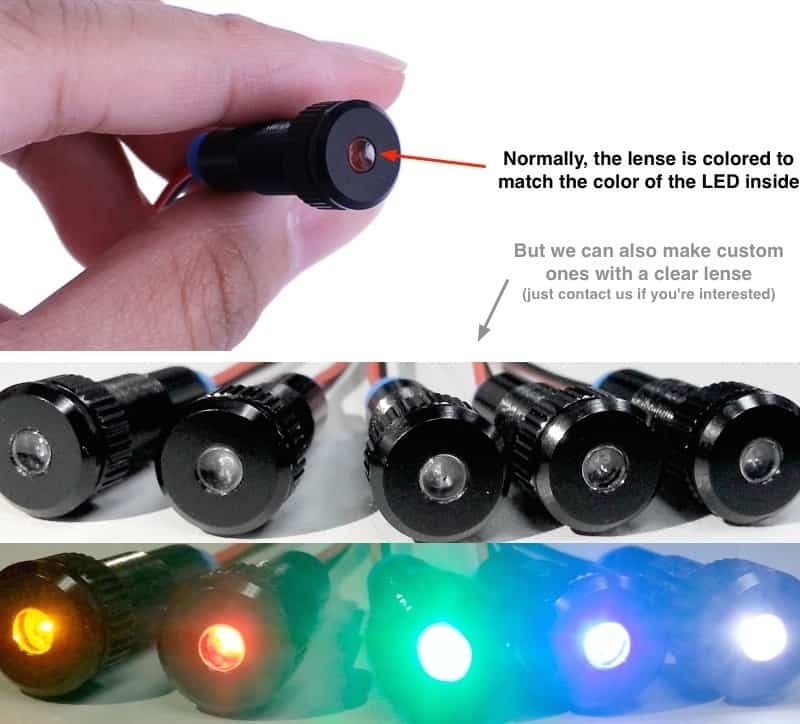 This can be used for a number of things light auxiliary lights on a vehicle or even strobe lights that you cannot see withing the vehicle and need to know if they are on. 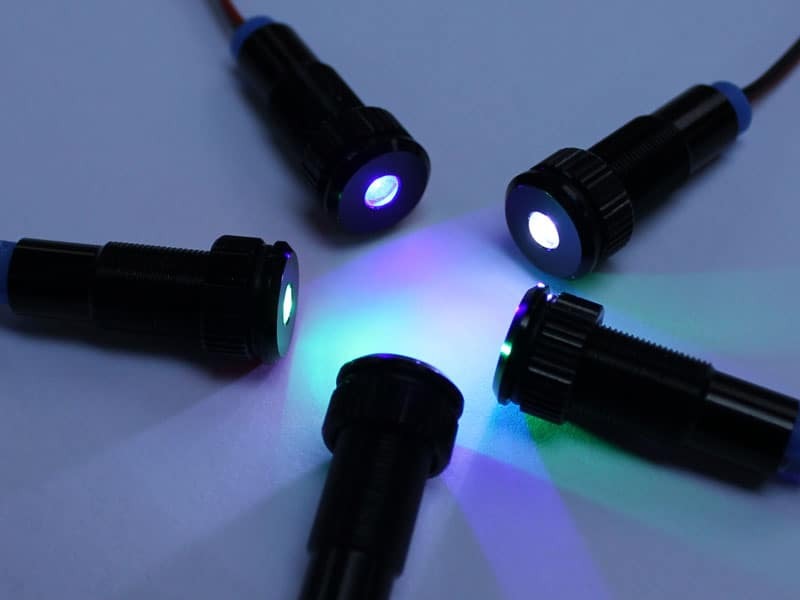 There is so much more applications for this kind of light. 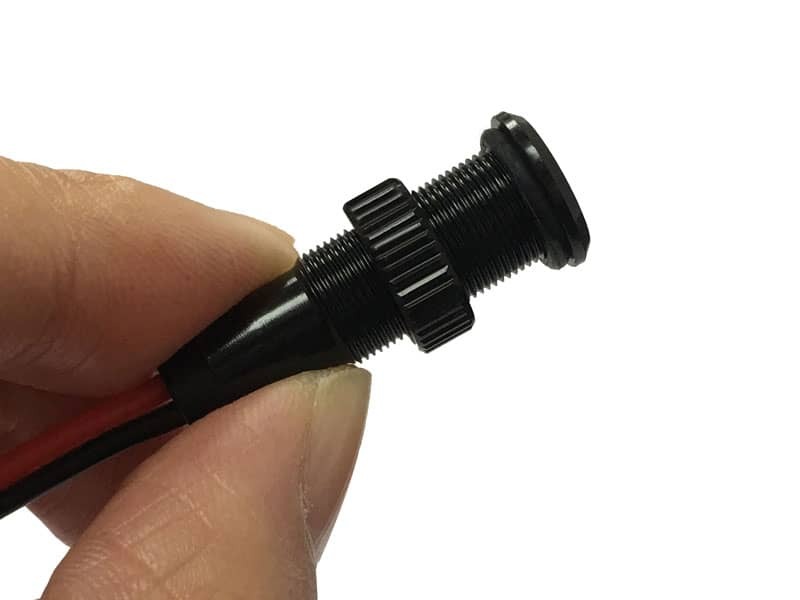 There are some that are not so rugged but this one can put up with most abuse that would be put on an indicator light depending where it is used. Made of aluminum, is has a great finish to it. Not only that, you dont need to worry about it corroding over time and looking ugly. After all this does need to be exposed and seen, that is the whole point of it. 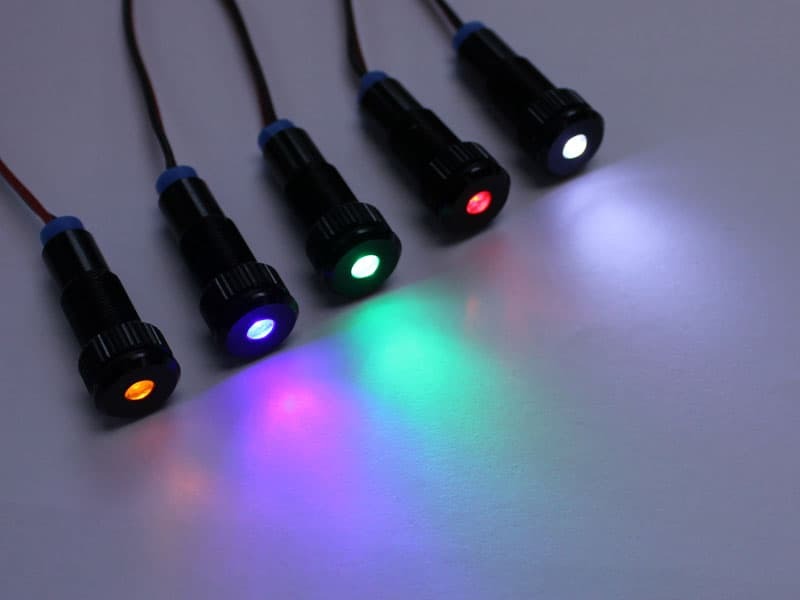 The light that is emitted from this is not annoyingly bright, its noticeable but not so bright which is perfect for the application of this LED. 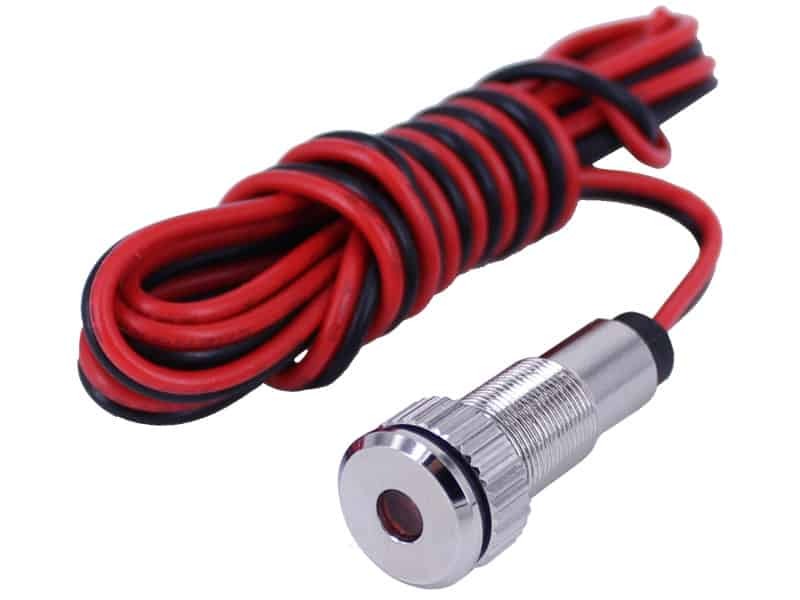 Also it includes an o-ring to make a waterproof install on something like a marine application. Installation is fairly simple. An 8mm hole will need to be drilled. after that make sure you remove the nut on the LED housing. If you need this to be waterproof, just leave the o-ring in place, if not I would suggest removing it as it will sit more flush. 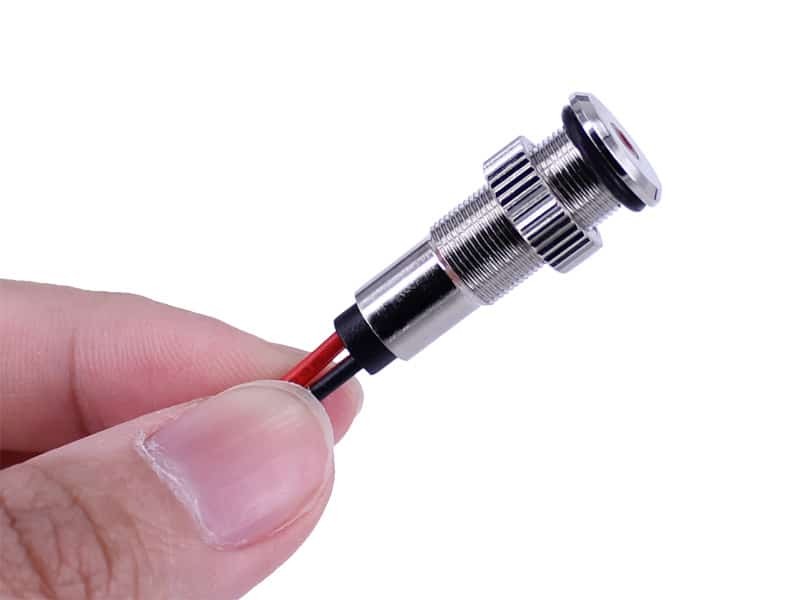 Then you just run the wires in the hole, insert the indicator LED, and then slide the bolt up the wires and tighten down. This can be tighten fairly tight as it is made of pretty god grade aluminum. Total length that is needed behind the surface where this is installed is 37mm. This gives enough room for the housing and the resistor to clear without bending the resistor itself and taking a chance of braking it. 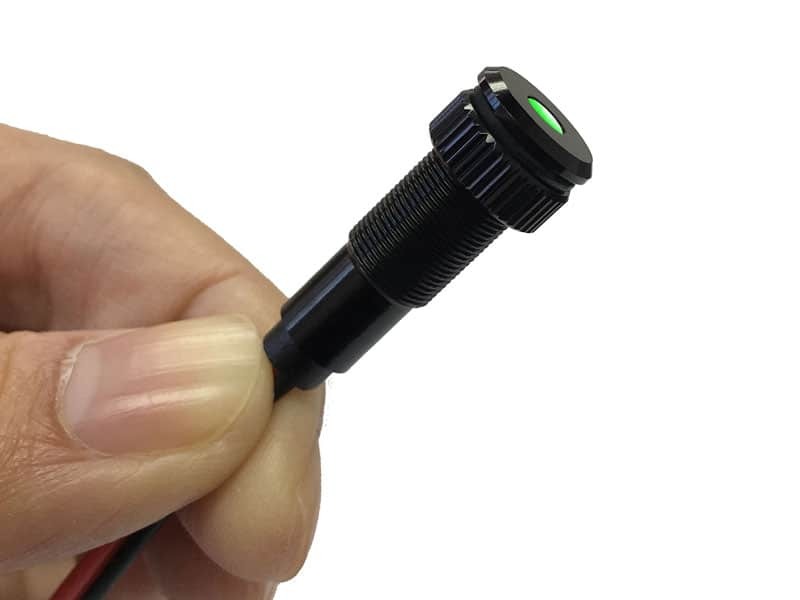 After it is installed, the head of the light protrudes 2mm without the o-ring and 3mm with the o-ring tighten down. Also about a three foot power lead is included on the light. If you are looking to light something up, this light is not for that. It could possibly be used as a very dim accent light but this is not its purpose. I recommend this for any marine application that requires a pilot light as this could certainly put up wit that environment. It would also do great on construction vehicles or equipment to let the operator know something has been activated. There are just a number of uses for an indicator light as tuff as this one. I would keep a few around as something always comes up. Thank you for taking the time to read my review. I try to help the best I can. Any questions please feel free to comment. 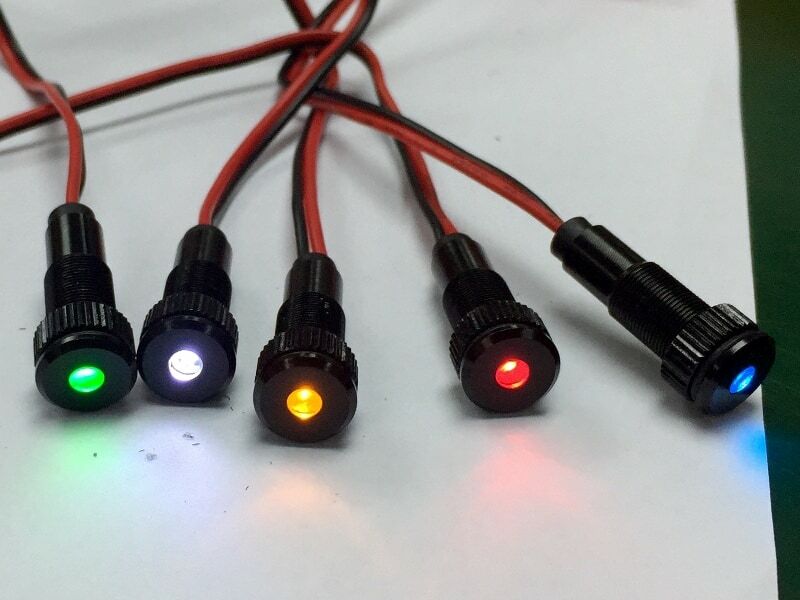 The lights are really high quality, I used them for indicator lights on a custom motorcycle and they worked great. The orange leds seemed to be a little bit more dim than the other less but I am really happy with the quality of these lights. 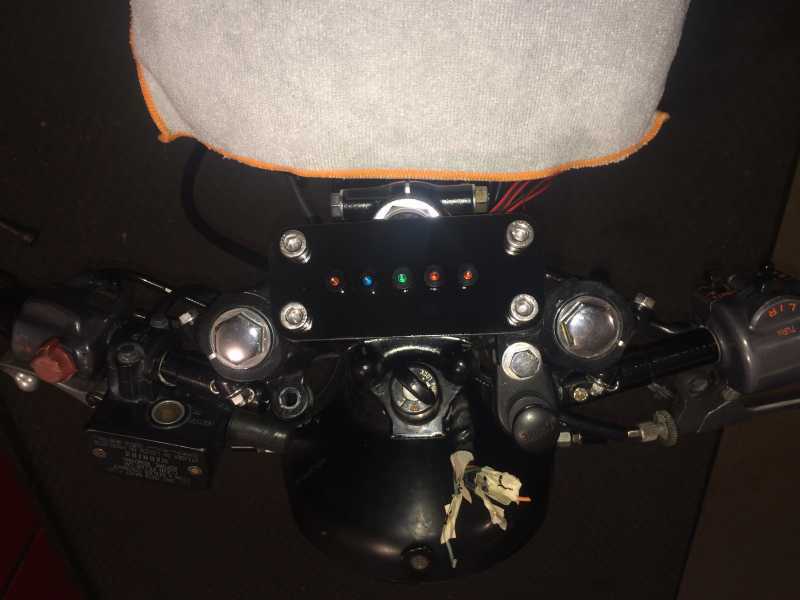 I have just had one of Oznium's Aluminum LED Indicator Lights installed in the left fairing of my Honda Goldwing beside the ON/OFF switch for the Driving Lights. I chose this lamp based on the recommendation of Oznium's owner. I selected a blue lamp in a black body - blue to match the high beam indicator in the instrument panel and black body to be inconspicuous against a black panel. 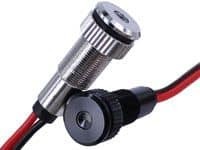 It is an excellent solution for the indicator lamp Honda failed to provide. The product is sturdy, appears to be very durable, is waterproof, and provides exactly the amount of light I wanted. 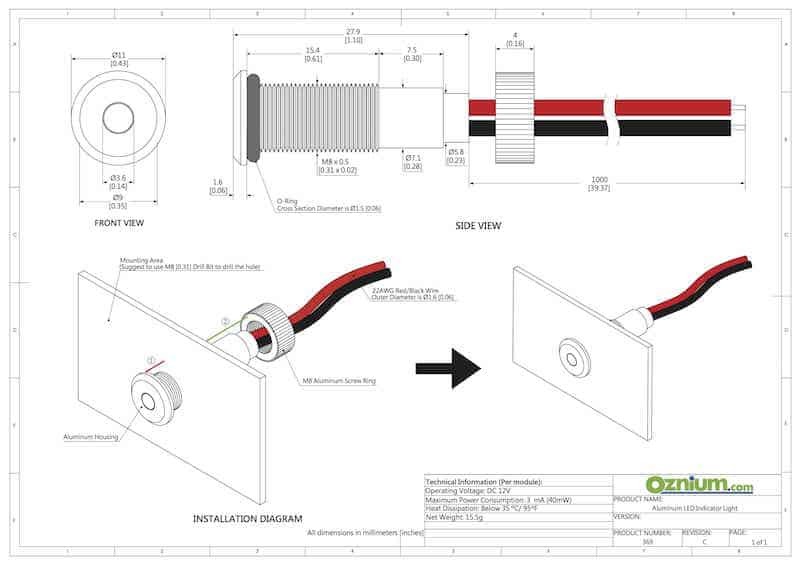 An excellent product and outstanding customer service provided by Oznium. 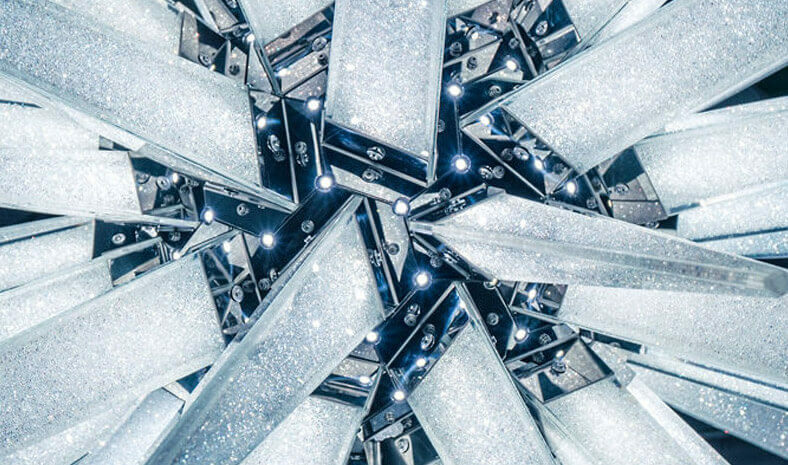 I recommend the company for all your LED lighting needs. I have not installed these indicators yet. The only thing I can comment on is the workmanship in the manufacturing of the product. 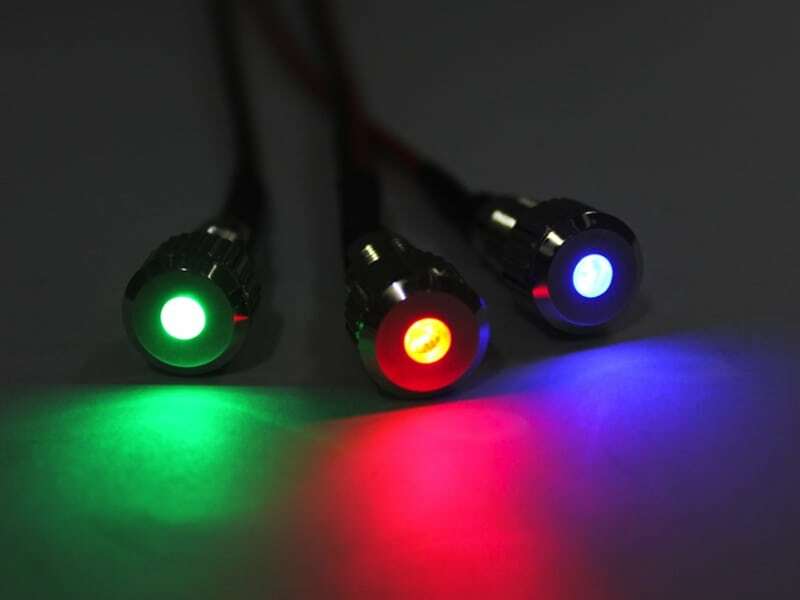 The quality of these lights is incredible, good looking light and should get a lot of good comments. I make these statement based on 30 years of Quality Assurance-Control in Engineering in all a specks of manufacturing within the Mil Spec Industry. These work great for subtle lighting inside a car. Mounted a white one in the overhead console pointed down and it gives off just enough light as not to be distracting. The indicator LED is just that. 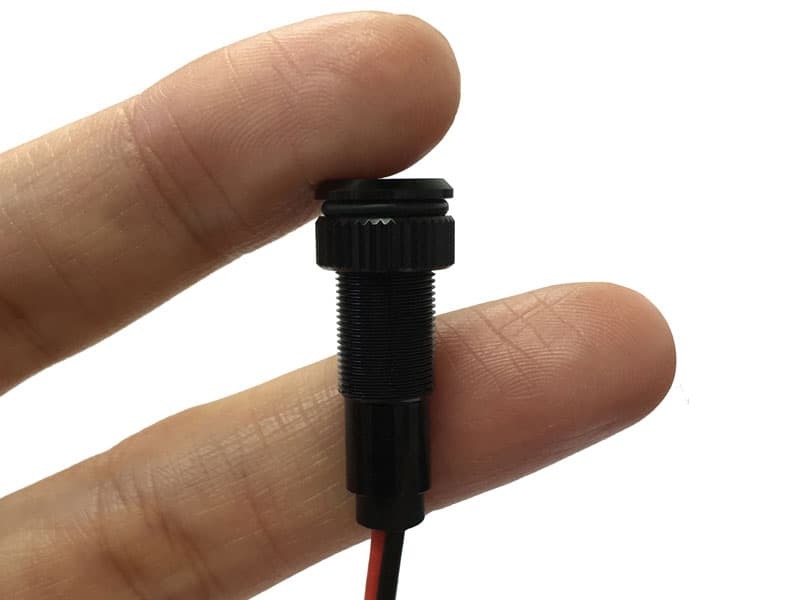 It comes with a good 3 feet of wire on it and it is just designed to inform you whatever you want on, is on. The LED is not bright by far but is bright enough to make you aware it is on if you are driving. I was curious to know what it was and now I know. This can be used as a few different accent pieces that could be really cool depending on your creativity. For now I plan on using it for testing purposes to make sure when I test that I have power when I want to have it wired to random circuits in my car (i.e. ignition, to make sure it works properly shoot the indicator LED in there and test ignition before doing more work then finding out i had the wrong wire). Another good use for it is with people who have aftermarket amplifiers, you could use the indicator light to show you have power on the amp so you never have to wait to see if it came on. Overall its pretty cool. I rate it a 4 star because it does its job, it is exactly what Oznium says, just and indicator light and its not the worst thing in the world, but I don't have too much use for it right now.